Who Cares? We Care! 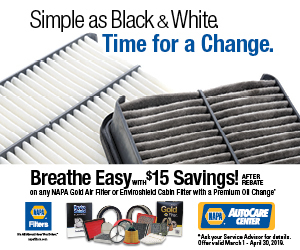 NAPA AutoCare Centers. Auto Repair Everywhere. 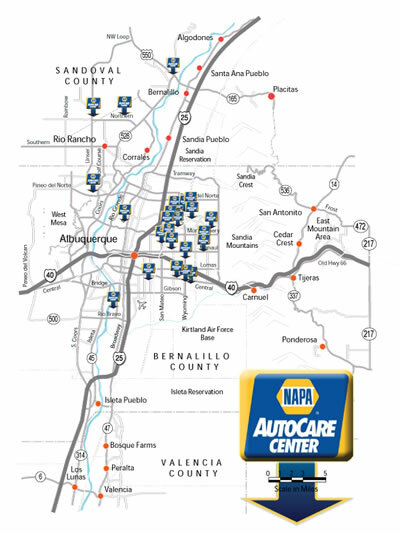 Locally Owned Shops with a Nationwide NAPA AutoCare Peace Of Mind Warranty. 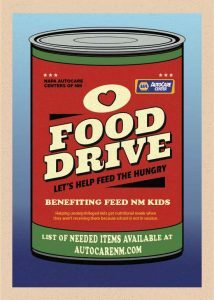 Welcome to the NAPA AutoCare Centers of New Mexico – Serving the Auto Repair and Car Service needs of the Albuquerque Metro and the greater state of New Mexico. Auto Repair can seem like tricky business. Trying to find a qualified mechanic and auto repair shops in Albuquerque can be overwhelming. We are here to make finding the best mechanics and collision repair specialists in Albuquerque and throughout New Mexico a lot easier. At NAPA AutoCare Centers, we strive for automotive repair excellence, and becoming a NAPA AutoCare Center is not just a matter of signing up. Before an automotive repair center or collision shop can carry the title of NAPA AutoCare Center, they must meet a series of standards and criteria, that includes training, certifications and ethical business practices. That way, when you see the NAPA brand associated with your neighborhood auto repair facility, you know it is a shop you can trust. With the change in seasons, your filters need a refresher. Allergy season is coming and it may be time for a new cabin filter. 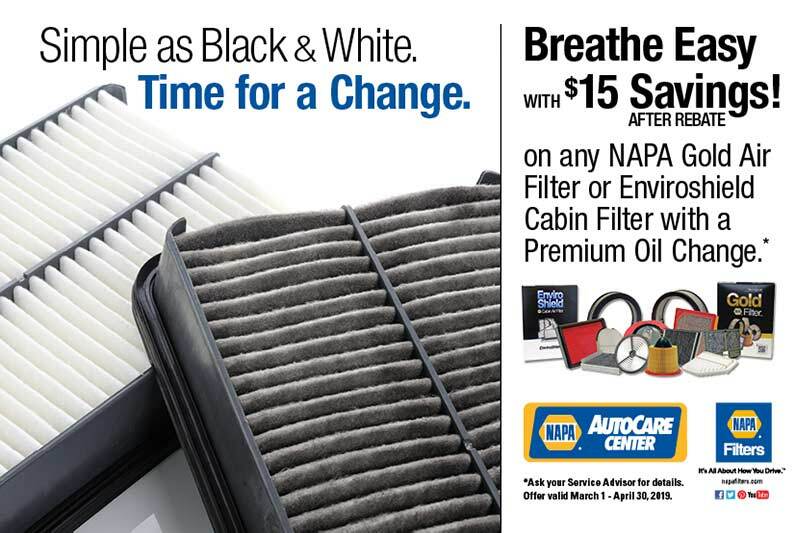 Get up to $15 off your filter purchase when you combine it with an oil change. Don’t get left stranded from a preventable event, visit your neighborhood NAPA Mechanic at one of our top respected Albuquerque Automobile Repair Shops and check your battery today. You’ll get Quality NAPA products and a 24 month / 24,000 mile Nationwide Peace of Mind Warranty that is available when you use one of our AutoCare Centers.